We all have that one familiar die-hard spandex-clad runner that we always see, pounding the pavement at the same time every day, rain or shine, snow or sun, freezing or breezing. Whether you love her, hate her, are her or wish you were her, rest assured that there are tons of other ways to torch calories and lose weight for people who just don’t jive with jogging, either because it’s tough on your knees, you find it boring, you don’t want to go outside, you need a change in your running routine or you just simply don’t like it. Doing a form of exercise that you love and can get excited about will help to guarantee that you do it regularly and will not only get the physical and weight loss benefits from it, but will also get mental, emotional and psychological benefits from it as well. Check out these 5 exercises that can help you burn more calories than running. These also require less space, can be done indoors, and some of these are gentler on your joints. Find out how jumping could be the most effective cardio exercise for weight loss here. While running involves repeating the same motions over and over again, burpees combine different movements that involve more muscles and require a greater degree of coordination, balance and concentration. According to the American College of Sports Medicine, this means more calories burned in the same amount of time. The ACSM found that the average person could burn about 1.5 calories per burpee, and that number increases when you increase the number of burpees you perform in a short time period. The basic burpee involves transitioning through 5 movements. You begin in a low crouch, jump out into a push-up position, perform 1 push-up, jump back into a crouch position, and then explode upwards to perform one high jump. Then repeat the entire sequence. 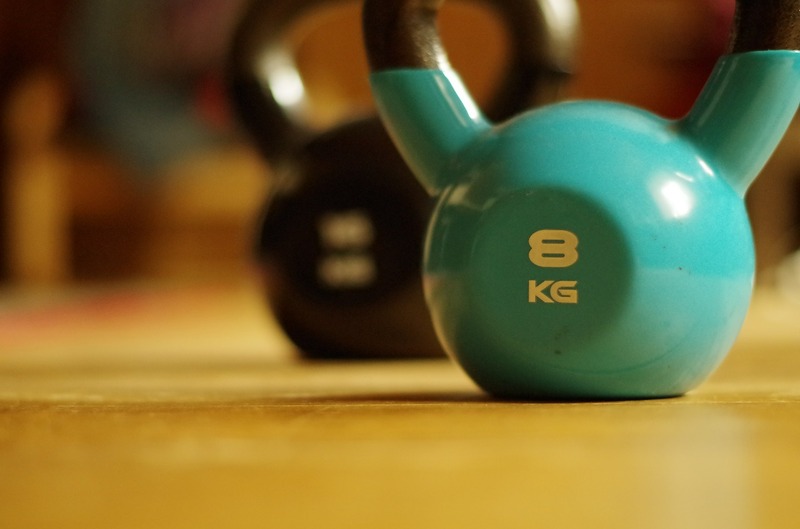 A study out of the University of Wisconsin shows that the kettlebell swing burns some serious calories while carving away body fat and tightening up your legs, thighs and behind. Study participants burned 20.2 calories a minute and their average heart rate was 93 percent of its max during a 20 minute kettle bell workout. Start by learning how to perform a proper, safe basic kettlebell swing, like the one above. Then begin to add other types of kettlebell swing variations (the Around the Body Pass, the Figure Eight, etc.) to your kettle bell swing workout to incorporate an even larger array of muscles and to get an even better total-body fat-blasting workout. The average person can burn 377 calories during a 30 minute session of brisk rowing, which is about 12.5 calories a minute, says Harvard University. It’s also a great total-body workout, as a properly performed row requires you to simultaneously employ several different muscles in your arms, shoulders, back, chest and legs. Rowing is an excellent high-intensity exercise that is also low-impact, for people who want to protect their knees and prefer to avoid joint-pounding exercises like running. Rowing machines help build strong knees by working both the muscles in the front of the thighs and in the back of the thighs, encouraging a muscular balance that helps to protect the knees from pain and injury. However, if you already experience knee pain or injury, the repetitive knee bending action on a rowing machine may make your problems worse, so be certain to consult your doctor before taking up rowing. For people with joint pain or injuries, swimming may be an excellent option. Swimming burns about the same number of calories per hour as running does, but is much lower impact and gentler on the knees and joints, as the body is working in a weightless environment. Swimming is one of the lowest impact sports of all aerobic methods, substantially lowering risks of injury. Any suggestions for women over 65? Can’t take anything that affects hormones.